Novella Launch and Novel Relaunch!! Well Gentle Readers I have some exciting news. I have launched a new ebook novella, “Haunting of House 1273”. This haunted tale is available on Amazon for FREE through Halloween 2016. I hope you will take a look, give it a download and let me know what you think in the reviews. This is a bit of a departure from my normal writing but it was a strange dream I knew I had to put down on paper. Huge shoutout to Steger Productions for the great cover. 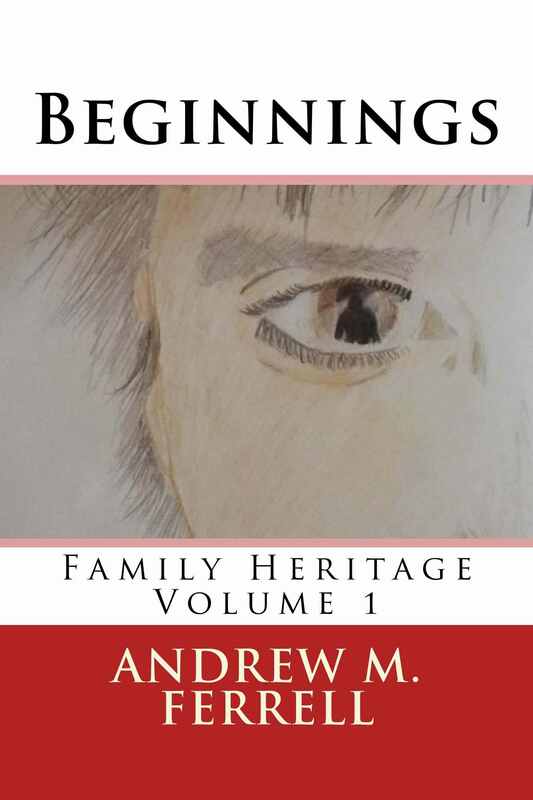 Also, I have an expanded second edition of my debut novel “Beginnings” that went live this weekend. Amazon is still showing the old cover for the ebook, but I assure you it has all the new stuff in it. If you had bought the book in the past, you should be able to get the update for free. I never did much work with talismans of this sort. I have never made a hex bag, but I do thank the Winchesters for showing me how many times. Some people find them very useful in their spellwork. I was always more of a gemstone/crystal person myself. Something about the feel of stone always made me feeler closer to Mother Earth. In the second book in my Family Traditions series, I explore the use of a talisman in the form of a family heirloom passed down to the main character from his uncle. I am hoping to have this volume edited and out in the fall. A talisman for magickal work can be just about anything as long as it has meaning to the wearer. Many people of Christian faith wear crosses or crucifixes as a show of faith. These pieces of jewelry are ‘technically’ talismans of a magickal nature because of the belief that God will intercede on the bearer’s behalf. I am not trying to start a religious debate, but I do find it ironic that the Bible several times condemns the pagan use of these amulets or talismans, however you find quite a few of the same items in Christian denominations: rosary beads, Star of David as a necklace, medals and scapulars devoted to Saints or Angels. The idea of special ‘powers’ held by objects is also evident in the use of holy water. I have always thought that religions are not that far different as they like others to believe. It’s just always a “my way is better” attitude that spoils rational and thoughtful debate. This is probably the biggest part of my break with most organized religion. I don’t need another person who feels they are more righteous with their God to tell me how to live my life. I can pretty much figure that out myself. I used to wear a necklace with a dragon curled around a pentacle as a symbol of my belief in magick. My favorite was a pentacle with a crescent moon stuck through it with a piece of onyx in the middle. Onyx is supposed to help with warding off negative or harmful attacks. It is also supposed to help with healing and grounding oneself. I am very fond of that necklace. While I don’t often wear it openly, I still have it, tucked away with my runestones and tarot cards and other implements of magick and pagan worship. Always close at hand if I should need them. What kind of talismans or amulets do you have or use in your life? I am curious to hear about any unique family heirlooms one might keep. Perhaps a locket or something that has been passed down for generations? Let me know gentle readers. Until next time. It’s live. My Amazon Author Central page is live. It isn’t much to look at right now, but I have a teaser video for my book, as well as an image and link to this blog coming. Just seems to take awhile for Amazon to approve anything. Anyway, I just had to throw this out there because I was excited.